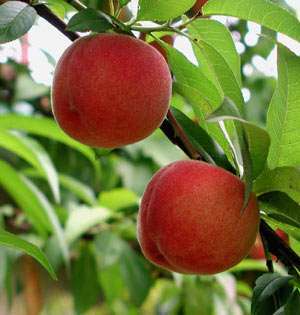 Medium sized, round fruits that are deepest red over a yellow base. Firm, but melting, yellow flesh that becomes red near the stone. A heavy crop, ripening in mid August, excellent in all aspects.